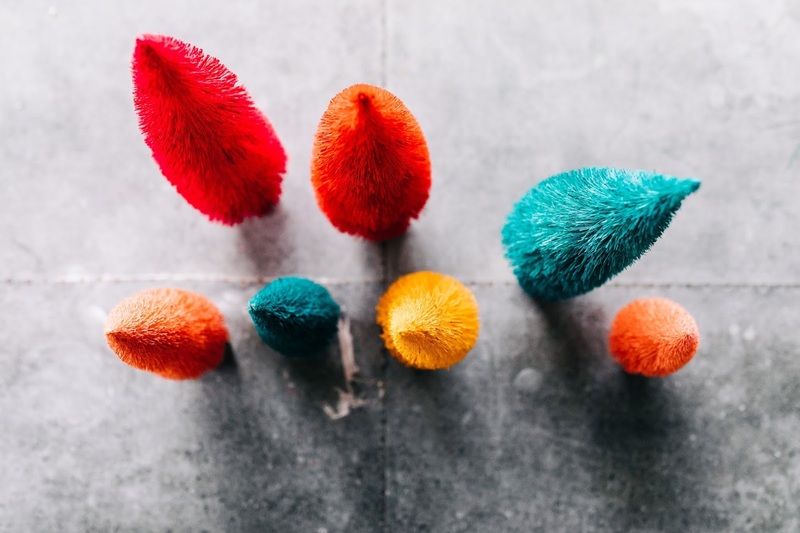 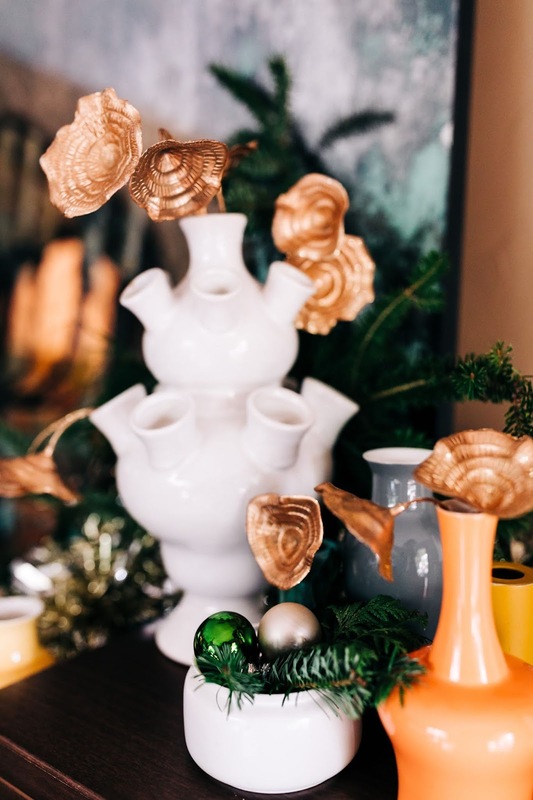 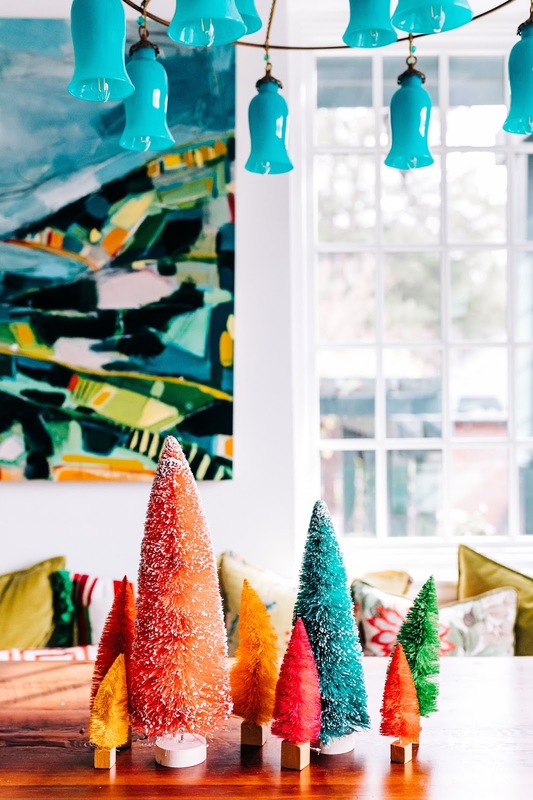 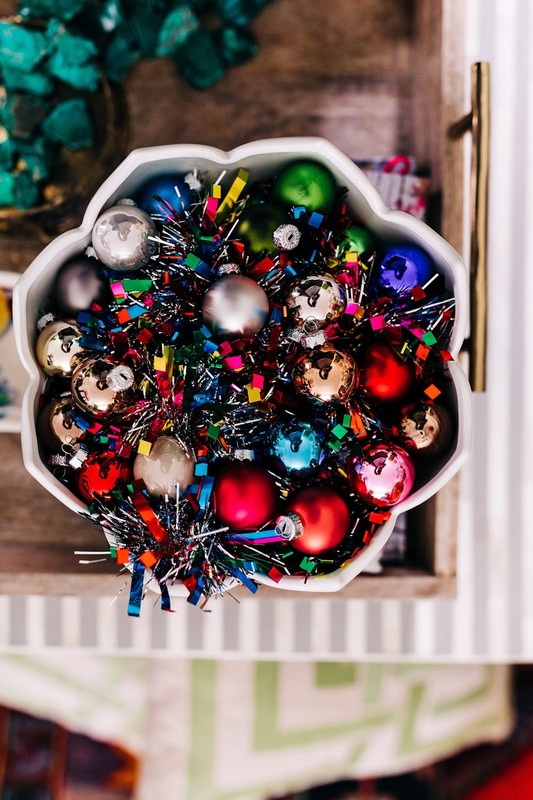 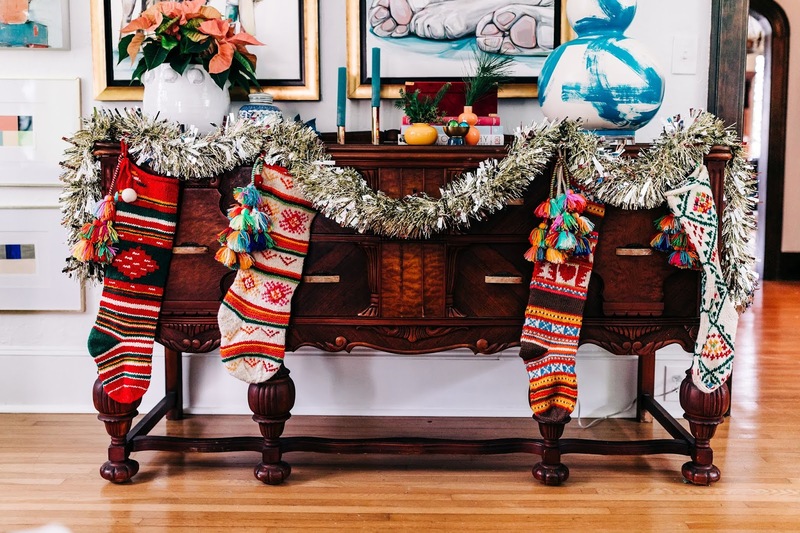 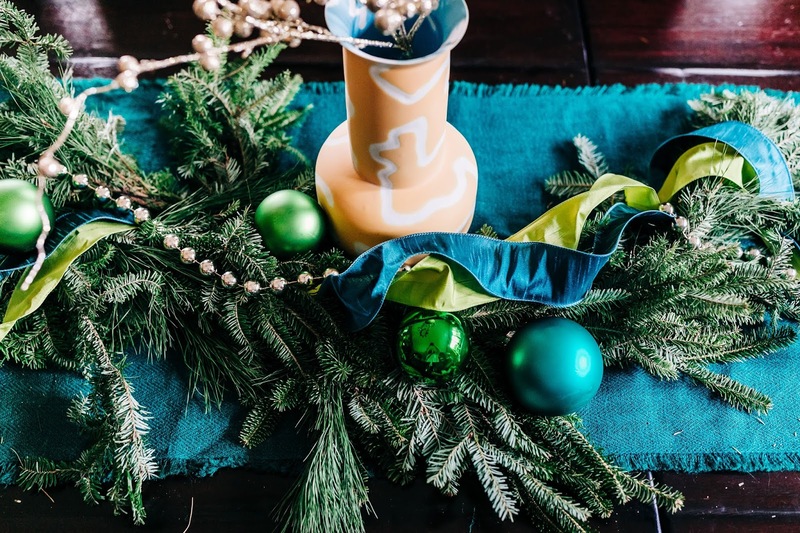 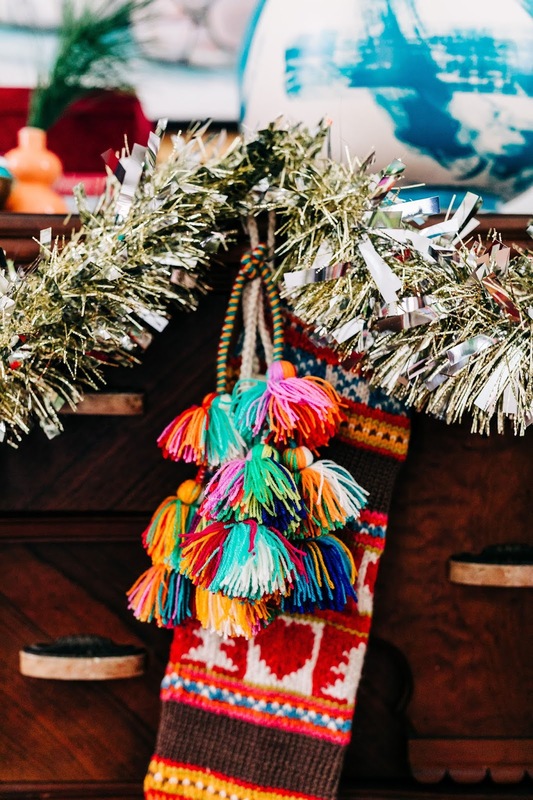 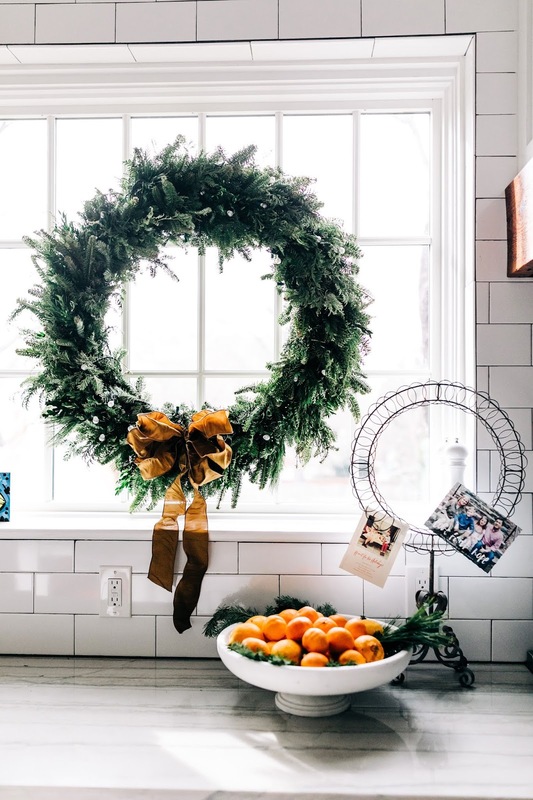 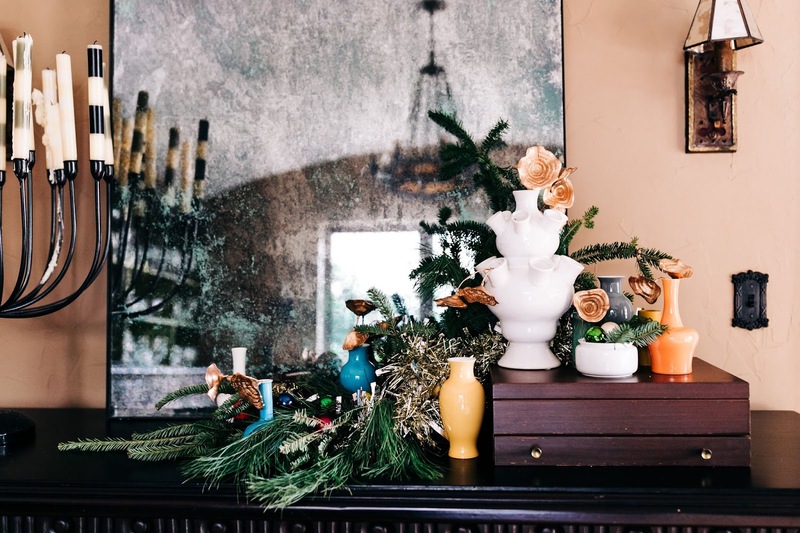 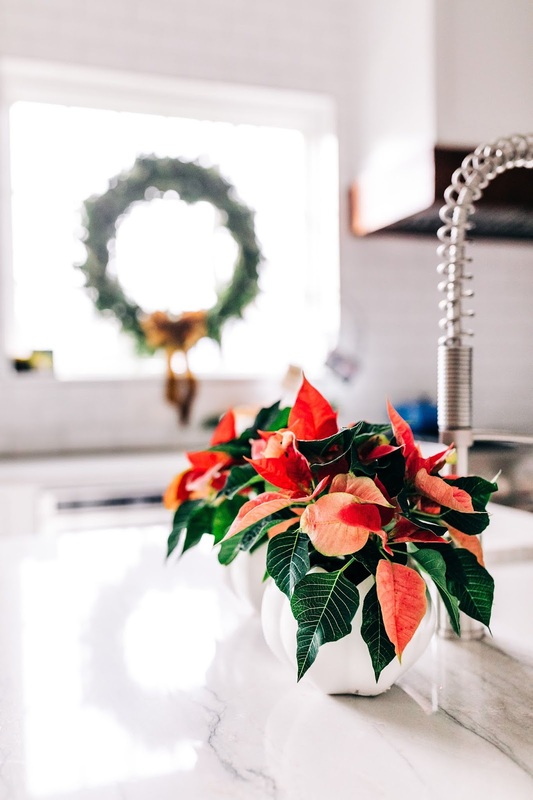 We are one week away from the big event (a la Christmas Eve) and as a little present we are bringing you another cup of cheer in the form of Holiday décor inspo that doesn’t play by those red and green rules. 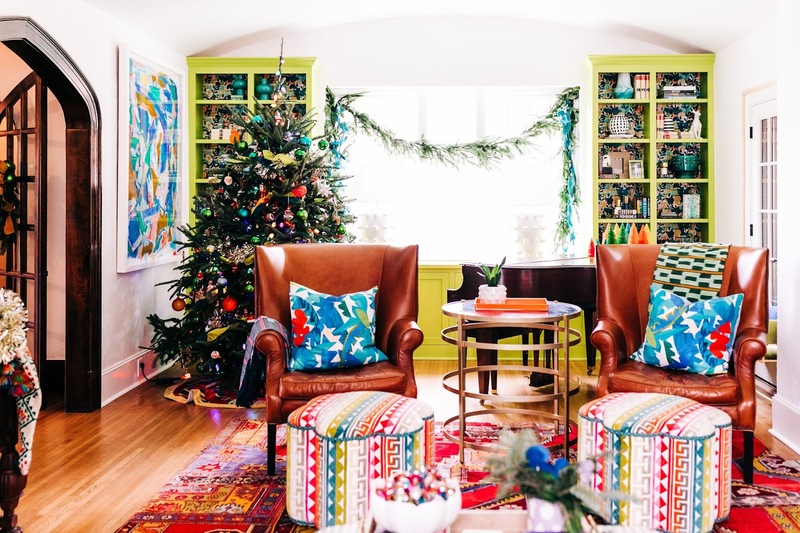 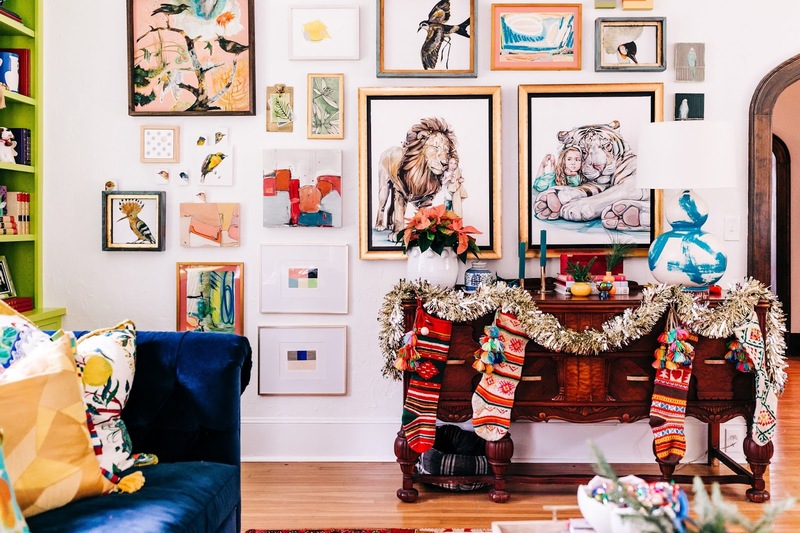 Last week we let you into my own home decked with merriness and this week we have a little tour of one of favorite projects/renovations that we shared on the blog a few weeks ago wrapped in holiday happiness and ready to partay. 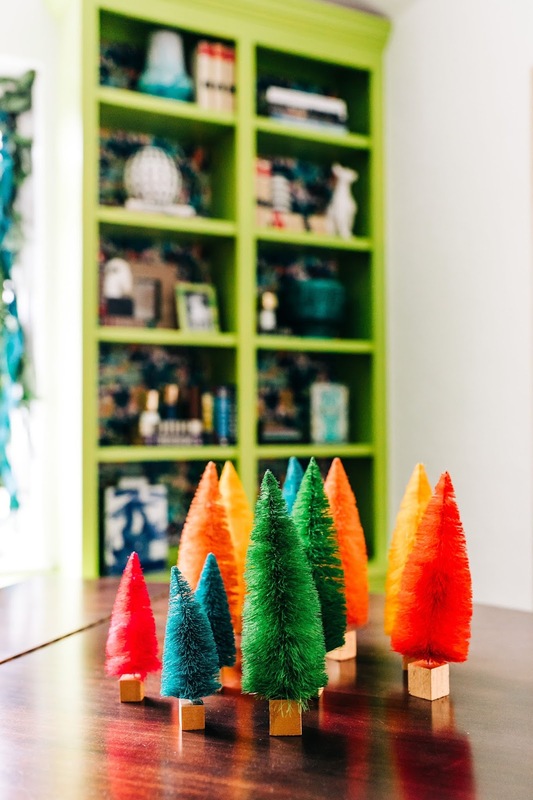 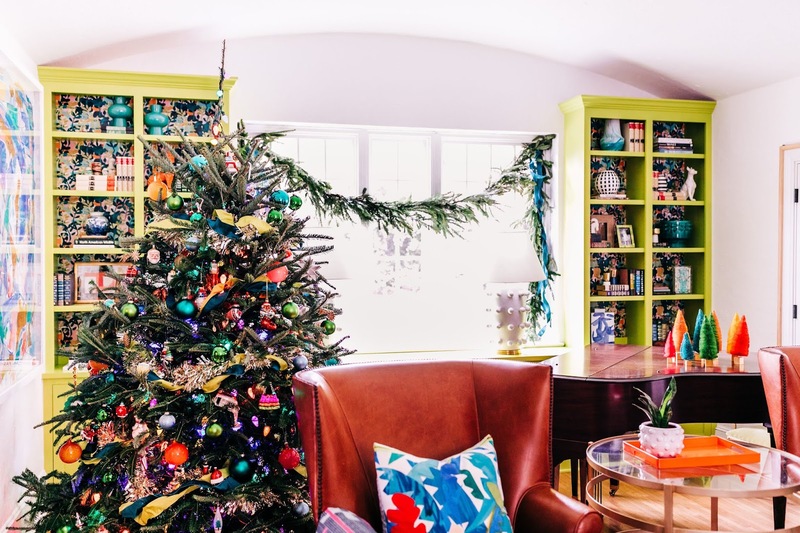 Not unlike my own home, this family loves color (especially green) and it sets the perfect backdrop for garland, tinsel and bows. 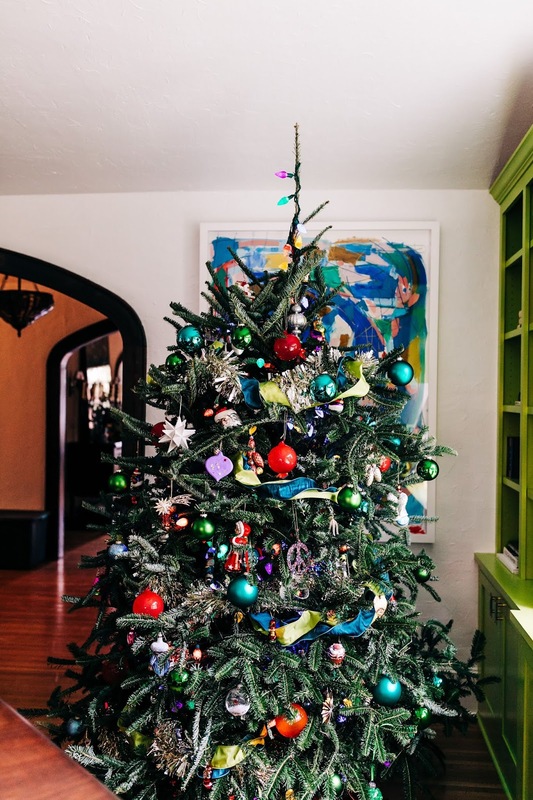 Along with family ornaments, we adorned the tree with colorful balls and garlands of ribbon in teal and chartreuse. 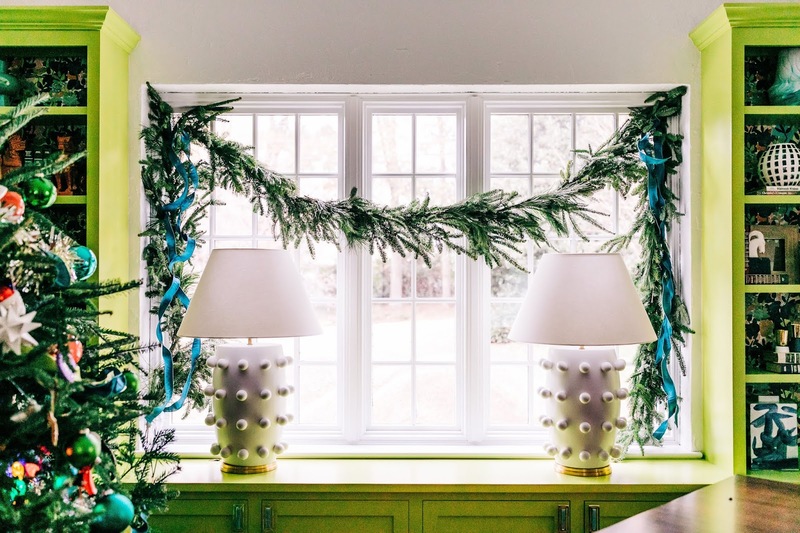 Stockings and tinsel give a festive feel to a dark wood console, garland frames the windows, and baubles + little trees sprinkle cheer around the rest of the room. 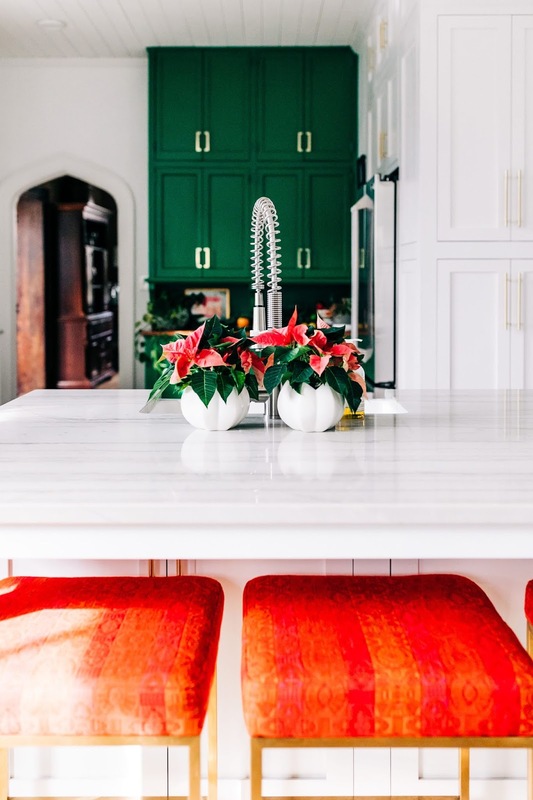 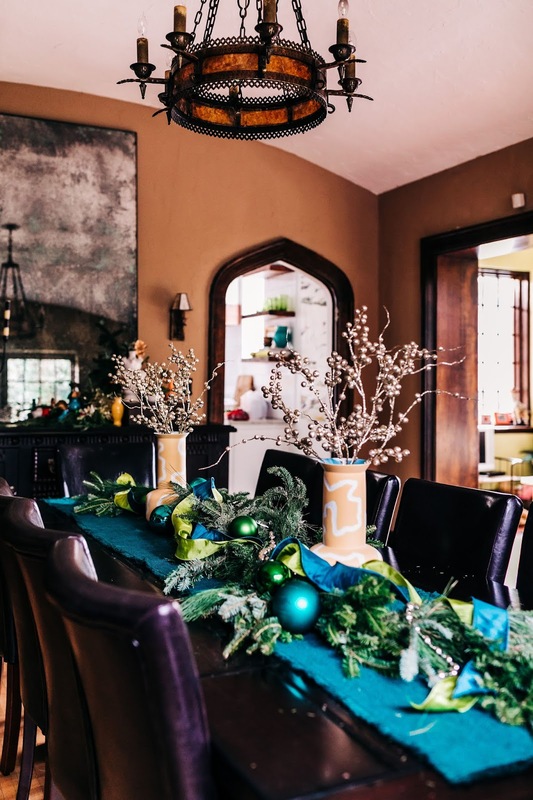 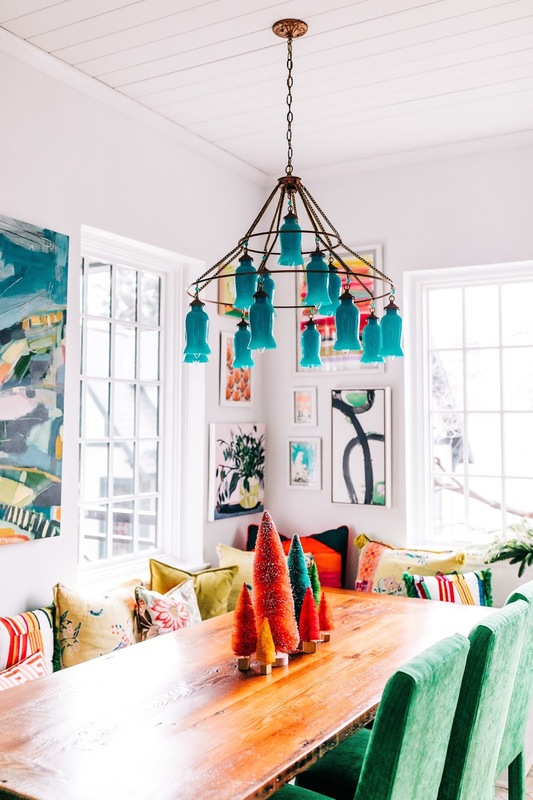 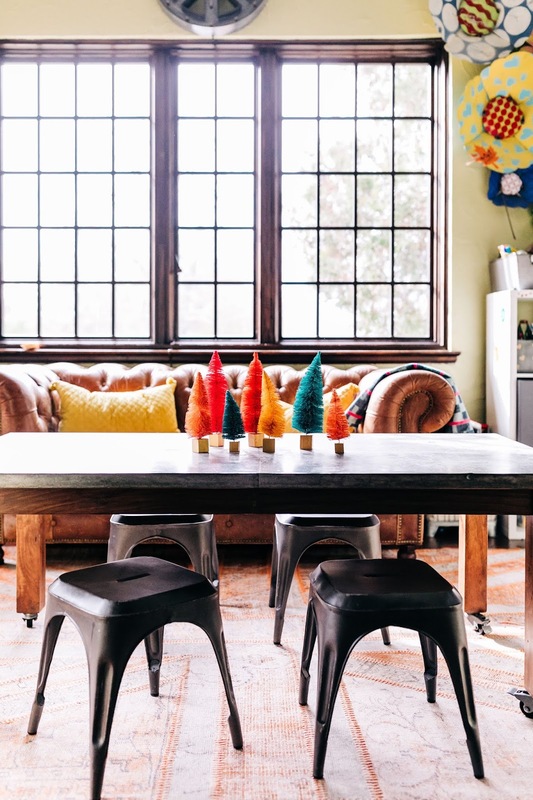 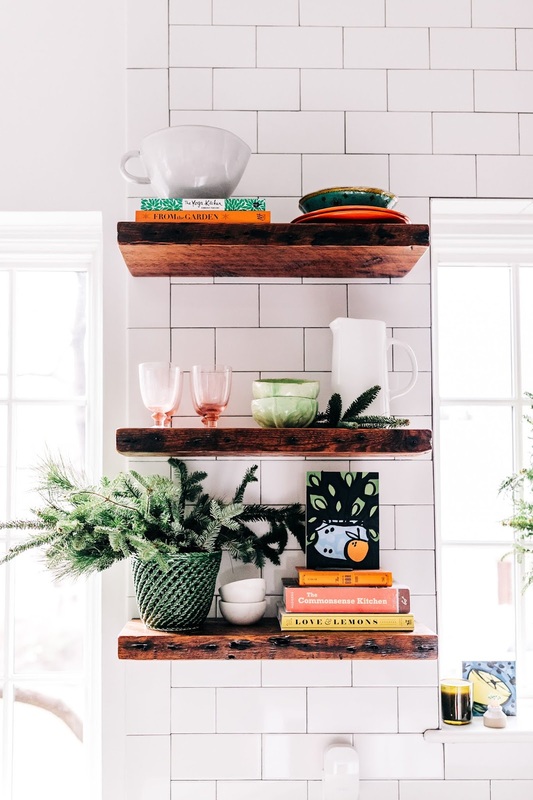 The dining room is party ready with a garland centerpiece featuring festive pottery, ornaments and ribbon and the kitchen got bits of festivity that won’t interfere with the use of the space. 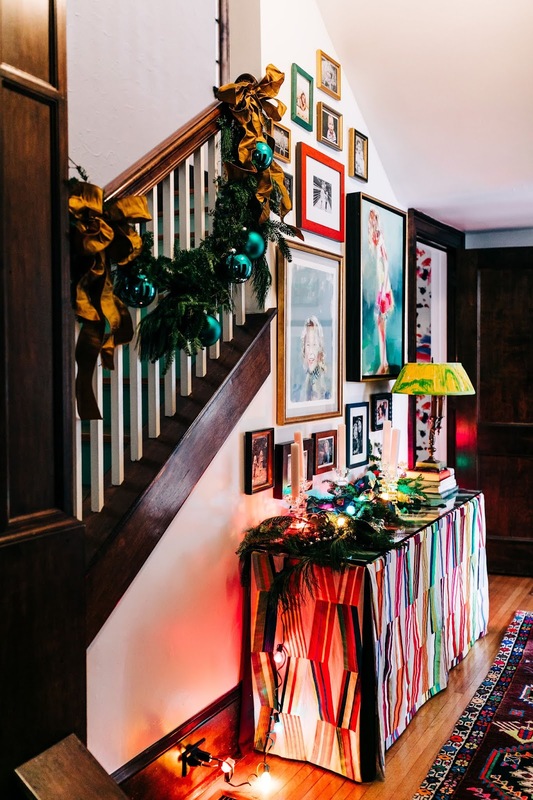 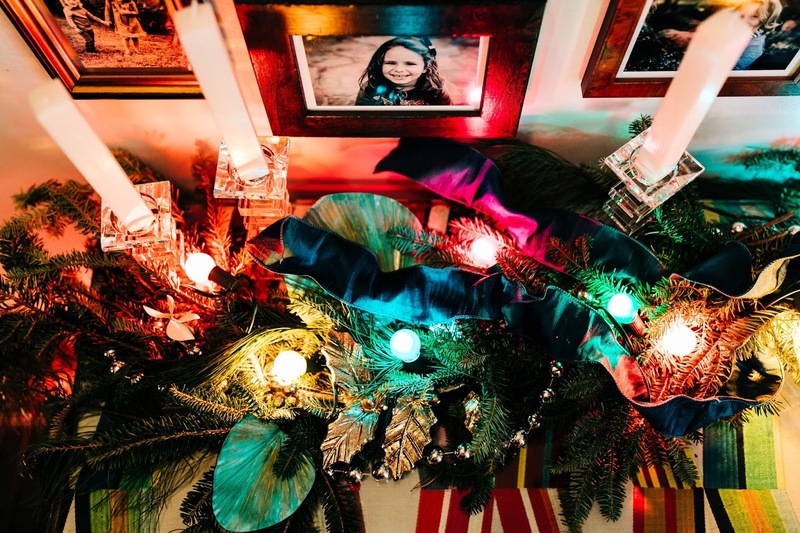 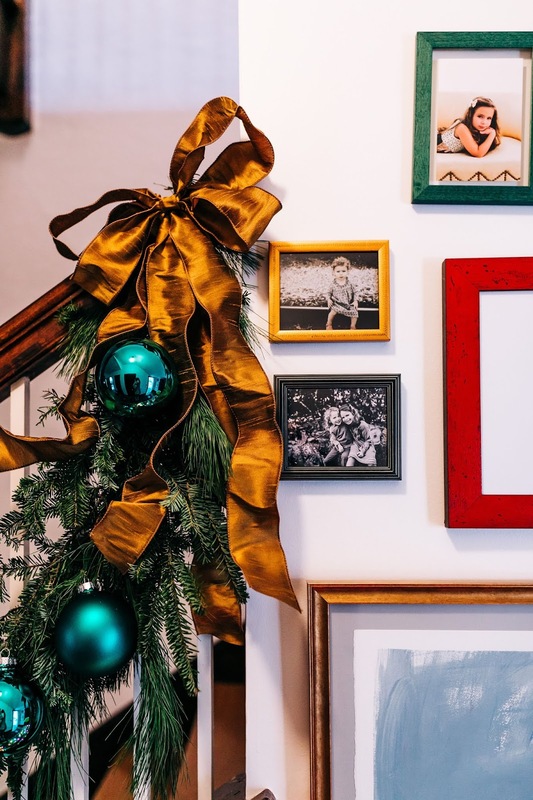 The hallway might be my favorite little moment with garland hung and colorful lights giving a glow to wall of family photos creating a special little moment that sums up what this time with family is all about. 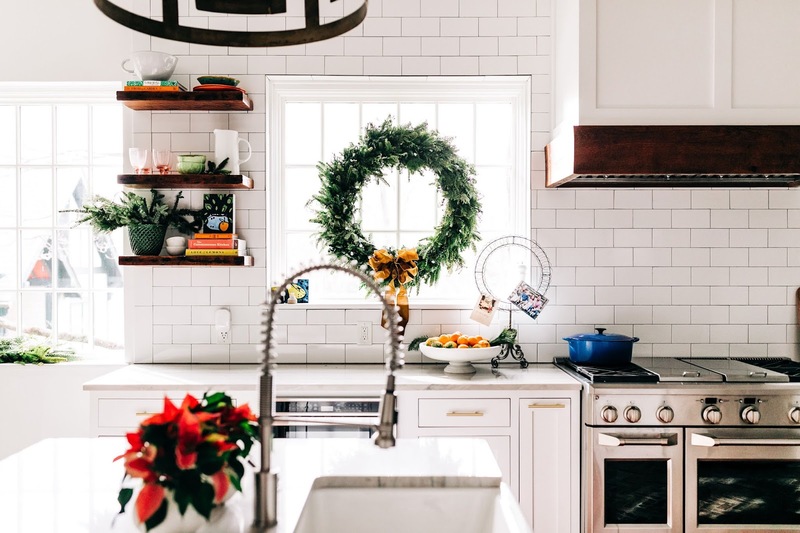 Basically we just need to bring in the food, the friends and the good times, because this space is ready for a good party and a visit from Mr. 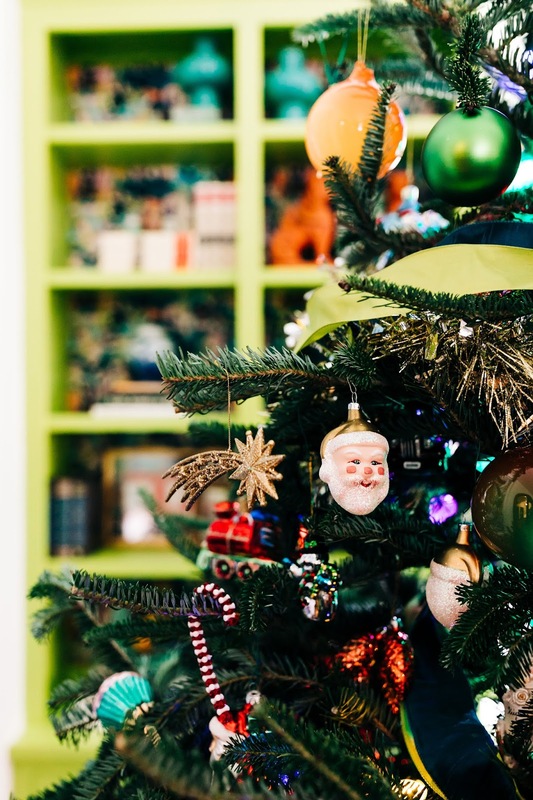 Clause himself. 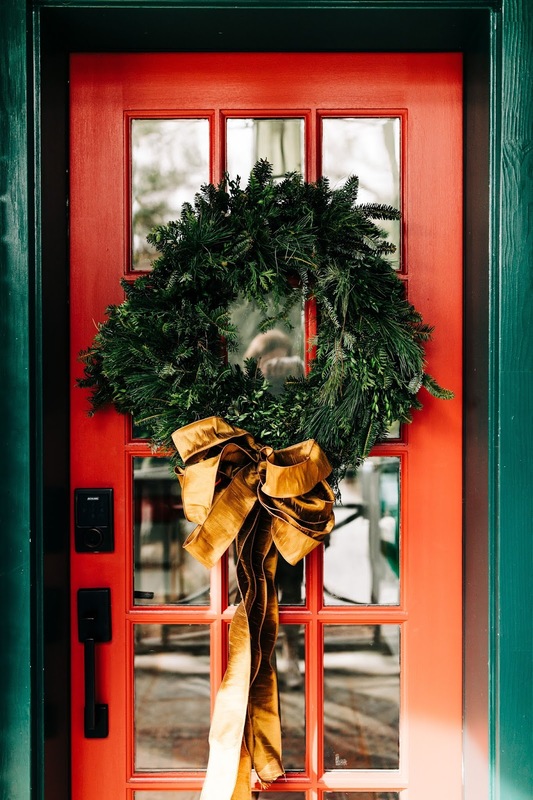 With next week being Christmas Eve, we are taking a week off from the blog but our team wishes you all the happiest holiday season and we can’t wait to see you in the New Year!